I don’t know about you, but whenever I think of Warp Records I think of three things. The first is the amount of my childhood that I invested (not wasted) playing one of the finest computer games ever to exist: Crash Bandicoot Warped. The second is that wonderfully perplexing treasure hunt they engineered – complete with weird one off pressings, otherworldly radio signals, and so on – before releasing ‘Tomorrow’s Harvest’ by the Boards of Canada. The third, and this is the important one, is consistency. Warp is not the sort of label that puts out music of only one style or genre. Indeed, you’d be hard pushed to find artists as diverse as Maximo Park, Nightmares On Wax, and Darkstar (amongst countless others) in the back catalogue of any other label. But the consistency you get across their releases is, in my opinion, inarguable. It makes Warp one of those few labels where you don’t really know what they’re going to do next, whether they’re going to release something that is pure ambient or synth-pop or indie or funk or some random amalgamation of some or all of these words, but crucially, this isn’t something that really bothers you, because over the years we’ve learned to trust and have faith in the admittedly mindbending A&R talents of the brains behind the Warp name. 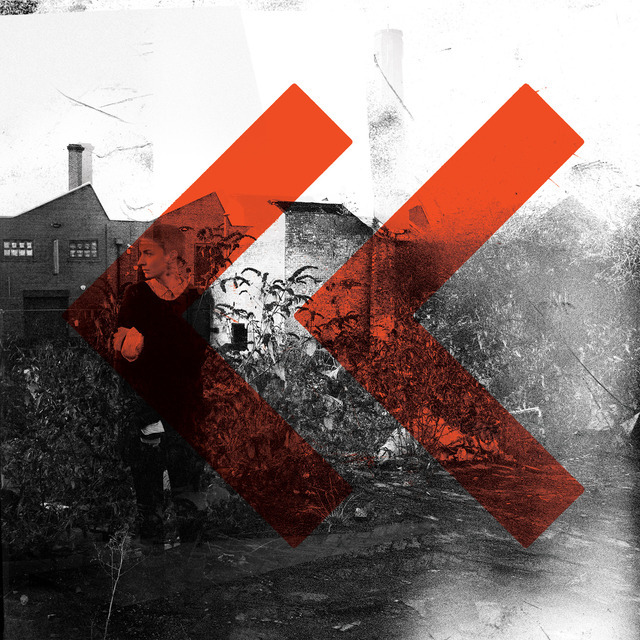 The album under the microscope today – entitled ‘Hinterland’ by Lonelady – is a confirmation of this maxim if you ever needed one. There are nine tracks on this album, which I can’t help feeling is a little bit underwhelming, but the quality on show comfortably makes up for this deficiency of quantity, which of course is a million times more agreeable than if it was the other way round. How to summarise the album? It seems to me to be made up of a few very specific musical ingredients that are then employed with great dexterity in a variety of different combinations. The first of these instruments is a guitar which sounds like it is being played not with a pick but with a violin bow. The result of this is a series of infinitely precise, incredibly intricate guitar riffs that jump around joyously in the foreground of most of the tracks. The second instrument are the vocals, whose sparse yet merry delivery skips easily over the top of each individual tune. In fact, the vocals are, to use an underrated word, consummate: in that they are not so loud to drown out everything else that is happening, but not so quiet that they don’t really offer anything either. They are in that nice space of being neither primary nor secondary to any of the other sounds, but instead in a lovely, rhizomatic harmony with them. The third instrument is the jangling, clattering percussion. There is a spacious, shattering snare that is common to most of the tracks, and the rest of the hats, crashes, symbols, shuffles and skittles are so diverse that they add wonderful variation at those very points where you wonder if anything new is going to happen. The final instrument which brings everything together is a bass guitar played by the most patient, consistent, and concentrative person in the history of the world. Across most of the tracks, a simple looped bass melody acts as the engine which drives the rest of the elements along, so that when that guiolin (that’s what I’m calling it), the percussion, and the vocalist decide to do weird, entertaining, tangential things, the bass acts as the framework that keeps everything together and reminds you that you’re still listening to the same tune. Got all that? Yeah? Good. Now, try this. The most incredible thing about these four instruments is that they are all the same person. Yes, Lonelady is the artist name of one Julie Campbell, who performed and mixed everything you hear on this album – guitar, vocal, drums, bass, cello, and the rest – sitting in her home studio with a cup of tea. She then went to an industrial region of Michigan to finish everything off with the legendary Bill Skibbe at Keyclub Recording Co. After rummaging through Skibbe’s metaphorical Tardis of hardware, the final brushstrokes were applied, and the result is what we see here before us. It’s remarkable, especially when you consider the relative youth of Lonelady compared to some of the others on the Warp roster. After a couple of early vinyl releases in 2006 and 2007, she joined Warp in 2009 with a single entitled ‘Immaterial/XY’, which was followed immediately by ‘Intuition/Bloedel’. Her debut album, ‘Nerve Up’, was released the following year to revered head-nodding and more general acclaim. And while there’s been a few singles between then and now, all eyes lit up a couple of months ago when Warp revealed she was finally working on her ‘difficult’ second album. Pah, what difficulty. Not only is this an album which has been constructed by one person playing the part of many, but it has been constructed in a way that sounds excellent. Let’s take a walk through. We open with ‘Into The Cave’, which probably has the nicest bass riff on the entire album, interspersed with little flashes of that jangling percussion which dances erotically in the background of a track, like the lady who eyes you suggestively across the dancefloor while you’re dancing with your girlfriend. Those minimal, echoing vocals peak and trough throughout before dropping out entirely and a weird synth line – no doubt from one of Skibbe’s dodgy bits of kit – enters and makes things a little bit mental. All the while, however, that lovely bass tone keeps the tune plodding along. It’s the sort of tune that won’t just get a dancefloor dancing, it’ll get a dancefloor grooving, a much more satisfying bodily movement. This theme continues into ‘Bunkerpop’, or should that be ‘Bunker-Groove’, where the percussion takes a breather and another gorgeous lady – this time that tap dancing guiolin riff – waltzes into the foreground in such a way that your girlfriend will probably notice your attention is elsewhere and berate you accordingly. That guiolin then becomes even more mangled and distorted on the title track ‘Hinterland’, which is probably the most vocal led track on the album, with Campbell’s vocals skimming across an understated beat and bass combination. A special shout out to that pulsing, contorted synth that erupts into your ears every so often too. I really like that. The vocals dropping out is the single for the guiolin to start furiously dancing once again, before Campbell elbows it out the way with her cries of ‘Hinterland! Hinterland!’ By this point you are grooving whether you are on a dancefloor or not; seriously contemplating spending your life savings on 1962 Chevrolet Corvette and simply going for a cruise just as the sun is going down. First single ‘Groove It Out’ raises the tempo a touch, but not as much as ‘Red Scrap’, which raises things to about 170 or so BPM: the sort of scampering, speedy beat that you hear in a lot of indie music these days, but intertwined with Campbell’s deft vocals and some nice ethereal synths and strings. My favourite track on the whole album is probably the one where the beat is given a day off entirely: the strange, ambient, slightly droning ‘Flee!’. It’s tremendous, with slow, contemplative pads mixing deliciously with what sounds like a cello – or perhaps an actual violin – while Campbell whispers at you intently to hurry because the sky is falling and to flee to the outskirts because the ground is crumbling. I actually listened to this a few times and tried to transcribe all the vocals, and I think I’ve got it, but I won’t share them with you: you’ll have to listen yourself. The rest of the tunes I’ve not mentioned so far: ‘(I Can See) Landscapes’, ‘Silvering’, and the oddly titled ‘Mortar Remembers You’ follow the same sort of idea, but I can’t emphasise enough the levels of inventiveness that are present here. Despite you being acutely aware that the sounds are very similar, the way those sounds are spliced and cut; brought together in partnership in different ways and in different tempos; keeps things sufficiently entertaining and interesting so as to not make it repetitive. A skill somewhat missing in a lot of music, in my humble (and probably wrong) opinion. All in all then, I’m a big fan of this album. It’s like what the Enchantment Under The Sea dance in Back To The Future would sound like if the film was released now, and Marty found himself going back to 1985 instead of 1955. It is the sound of funk, disco, techno, and joy, all combined with the nimbleness and cleverness of modern production techniques. For these reasons and for all those I’ve waffled about above, I recommend it without reservation.